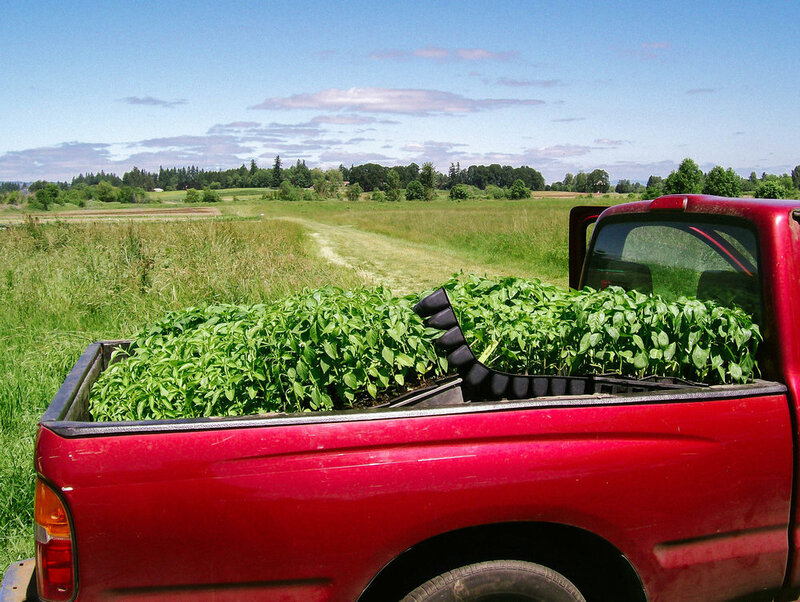 Red Truck Farm is a small scale, certified organic mixed vegetable farm located in Ridgefield, Washington. 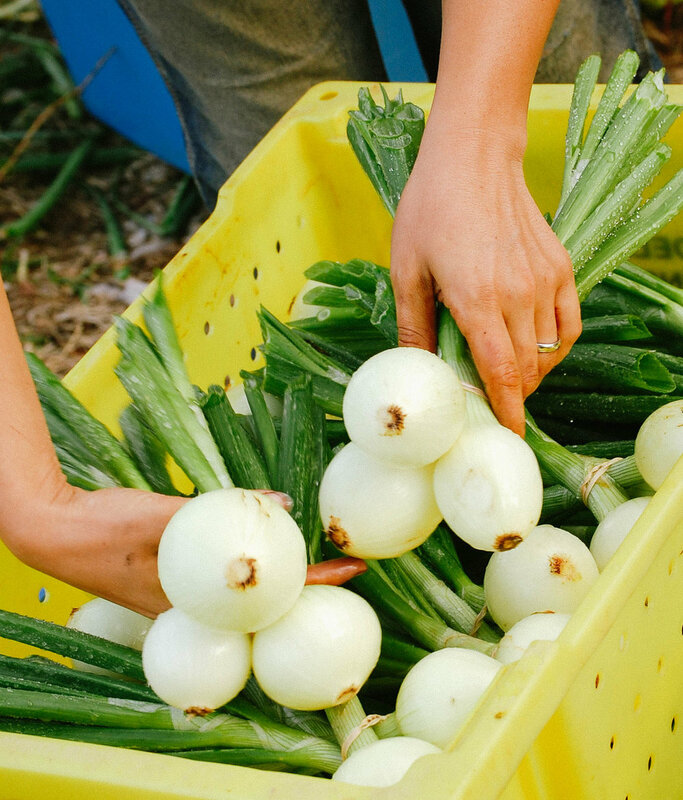 We sell our produce to local restaurants, New Seasons Market, area farmers markets and through an honor system roadside stand at the farm. Farm owners, Jason and Amber, have been farming together for 10 years and are assisted by their two children, Oliver and Lyla, and Jason’s parents. Yes. We have a red truck. But that isn’t the only reason why we got our name. A “truck farm” is literally a farm where vegetables are grown for market. For us, the name conjures images of farmers with loaded pick-up truck beds parked on the side of the road or highway selling strawberries, corn, or melons out of the back. We too are excited to bring our produce straight to our customers, right off the back of our red truck. Throughout the season we hope that you will enjoy some of the variety of vegetables that we are growing. Always hoping to find a new favorite, each season brings a combination of old standards and new experiments. One of our favorite crops to grow are our heirloom beans that we sell dry in the fall and as fresh shelling beans during the height of the summer. All of our bean seed has come from seed swaps over the years. Many varieties started as small handfuls of seeds that we have grown out over the past few seasons. Amber started producing dry beans five years ago and we now cultivate close to 20 varieties. Last year we began to harvest these rich beans as fresh shelling beans, anxious to get them into the kitchen earlier in the season. Jason brings to the farm an excitement for unique basil varieties as well as a love for the diversity of hot peppers that can be grown right here in our area. After the field work is done Jason is often found blending up a pesto, drying down peppers, and holding informal tastings of our different varieties with our friends and relatives. 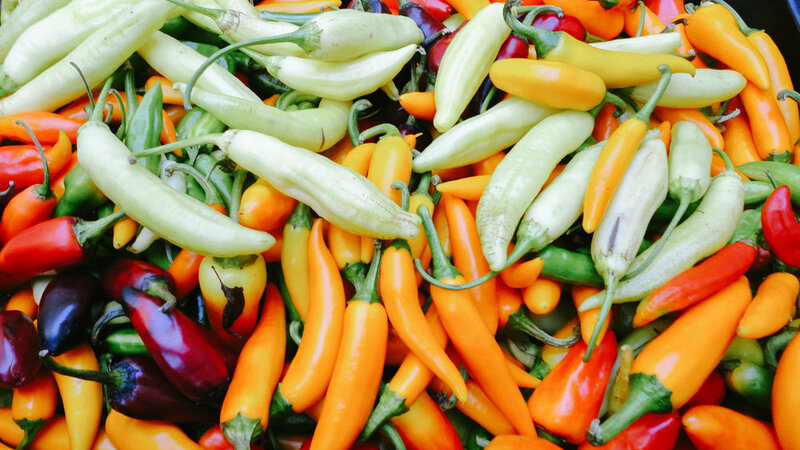 Red Truck Farm products can be found at area restaurants, grocery stores, farmers markets and in Ridgefield! We enjoy working closely with our chefs and produce buyers and are committed to meeting the needs and expectations of our customers. We take great care at the beginning of each season (late fall, early winter) in creating our farm plan. Be it a specific variety or a completely new herb or vegetable we are open to exploring the possibilities. If you are interested in getting produce from our farm please contact us at redtruckfarm@gmail.com, or come by the farm stand or farmers market booth. We are always looking to share the food that we grow and love with others. Contact us today to learn more about what we grow and what we do!